Regular brushing with the Luxury Spa Brush prevents oil build-up at the scalp which makes the hair look greasy, reducing the frequency of washing. 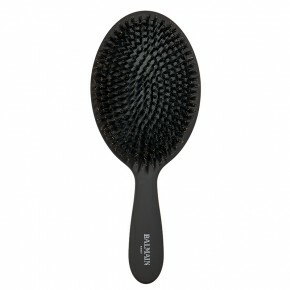 The black rubber cushion pad features eight rings of boar hair bristles that move easily through the hair. With curved matt coated handle for better grip and a comfortable and easy hold.